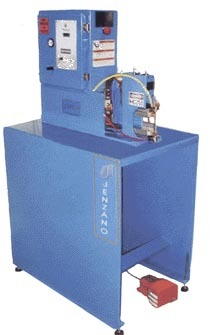 The Model B1BW is a basic, flexible, modularly designed bench welder. This unique design allows you to inter-change welder components, such as: control, weld transformer, and tooling. The adaptability of this model promises to retain its production and budget efficiency both for the current job, and any of the future. Additionally, the equipment is reconfigurable with many options, available to enhance its function. Welder: 24" x 11" x 30" 35 lbs. Pedestal: 36" x 24" x 36" 100lbs.